Band mates JIM ASHWORTH and BRYAN FREEZE formed Dr. Wu’ in 2002 after growing up and playing in various bands starting in the late 60’s. The name was taken from a favorite Steely Dan song that encourages us to live life to the fullest and strive to be the very best that we can be. With this as their goal, they set out to record their “Texas Blues” Project Volume I “Fort Worth Artists”... a long overdue recorded history utilizing guest appearances by musicians who have made Fort Worth a global mecca of top players… especially great “guitar slingers”. 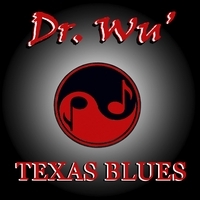 To satisfy their loyal and eager fan base .... Dr. Wu’ is releasing their very first single .... “That Ain’t Right” which features Texas Bluesman BUDDY WHITTINGTON on vocal and guitar. Buddy, a 15 year veteran of legendary John Mayall’s Buesbreakers band, has recently launched his own successful solo career and is currently playing to sold out venues in Europe and the U.S. Buddy is a “ top crowd pleaser ” in the Dr. Wu’ arsenal of great musicians . Got both albums. These guys are great . Love the Blues. Great Track - Great Album! You like this track? Than you should have a look on Dr. Wu' & Friends "Vol.1" 2007, "Vol.2" 2010 and the live CD/DVD "An Evening with...feat. The Buddy Whittington from June 2012. Apropos Buddy. Check out his solo releases, too. He's a helluva guitar player!!! These guys pulled it off again. After the success of the "Texas Blues Project" Dr Wu comes back in a big way with Buddy Whittington doing what he does so well. Hat's off guys. Give us MORE!! !